Monetary financial institutions in Luxembourg? Quo vaditis??? 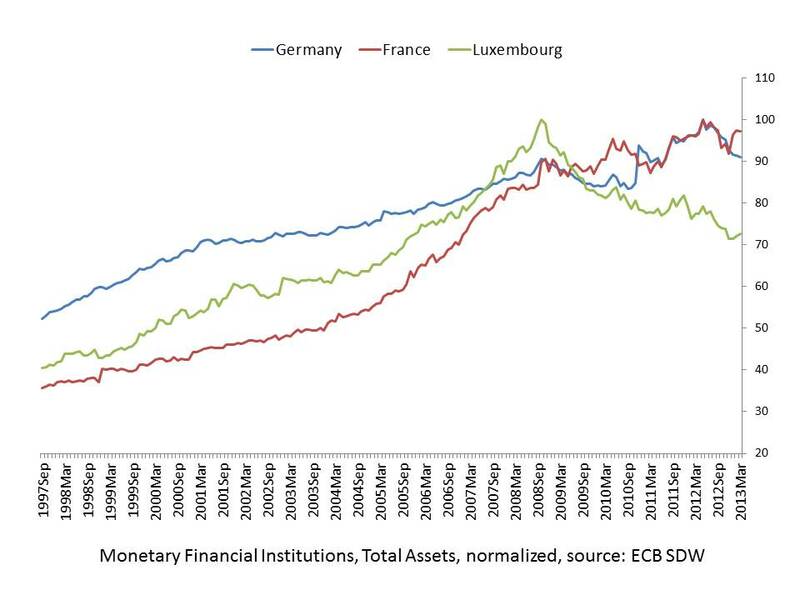 One thing that has been on my mind recently is the evolution of the monetary financial institutions (credit institutions and money market funds) in Luxembourg. For Luxembourg’s financial sector (and thus its GDP), private banking and asset management has always played a significant role. In the graph below I compare Luxembourg to Germany and France. While the trend for Germany and France since September 2007 is somewhat mixed but definitely nothing to worry about, the evolution of MFIs in Luxembourg is worrisome to say the least. Basically – down since the crisis. Now – is this only a short-term trend or a new evolution? Stay posted – I’ll write more on this.